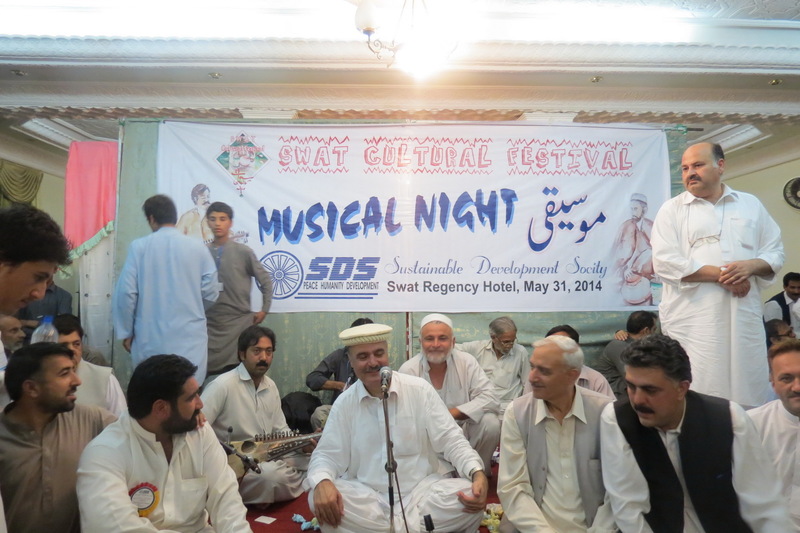 A three-day Swat Cultural Festival organized by Sustainable Development Society (SDS) was held on May 30, 31 and June 1, 2014 at Mingora. In the festival there were different events. There was Mushaira on peace theme on day first. The second day started with a round table discussion on “Culture: Challenges and Opportunities” at morning and later music night was held. 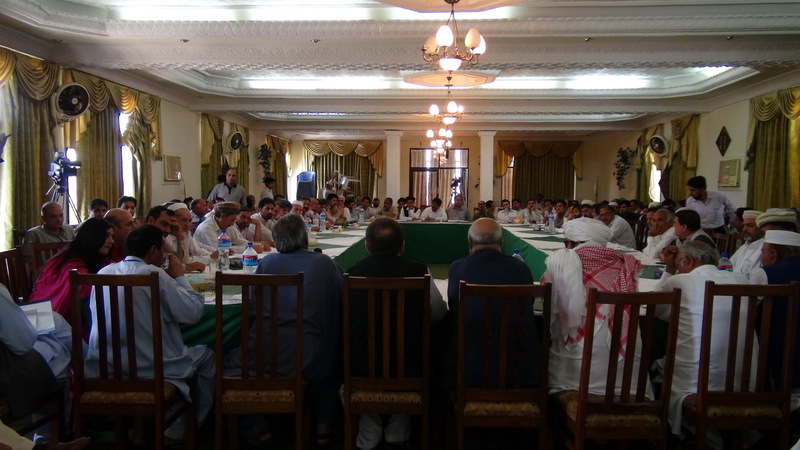 On last day there was political dialogue on” Role of Political Parties in promotion of Peace”, which participated by local political leaders from JUI, ANP, PML, AWP, PTI, QWP, NP, International Marxist Tendencies (IMT) besides other small political and left groups. During and around the festival there were lot of opportunities for interaction and networking. The festival was attended by politicians, academies, literary personalities, lawyers, intellectuals and social and political activists from all over the country but mostly from Khyber Pakhtunkhwa. Also local activists attended the festival in large number. Besides discussion on culture and role of political parties in promotion of peace there was lot of entertainment opportunities. 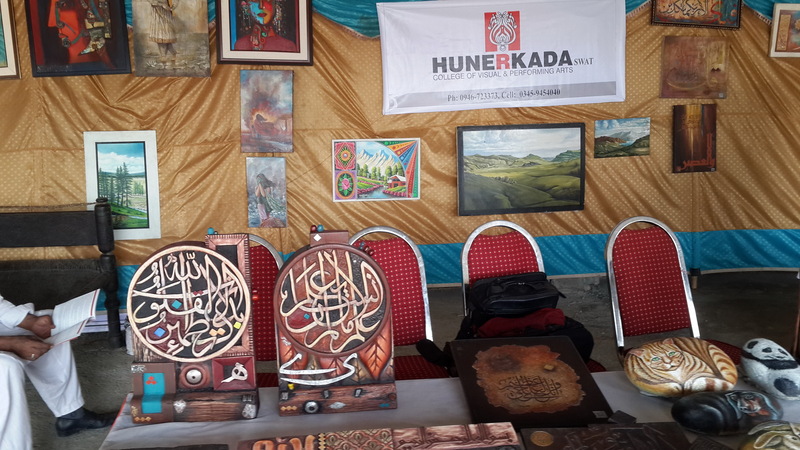 There was art and craft exhibition where local originations/artisans not only exhibit their products but also demonstrated their skills. 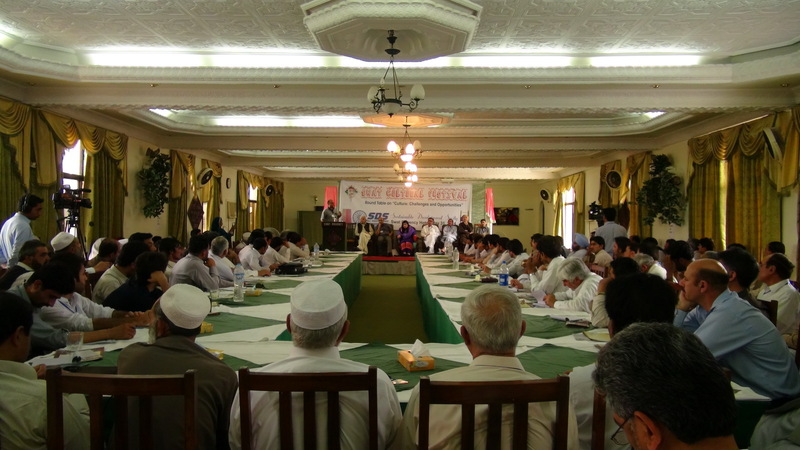 Representatives of various social, political and literary organizations and movements including Aman Tehrik, Tribal Development Network (TDN), Pakhtun Ulasi Tehrik (PAT), Pakhtunkhwa Civil Society Network (PCSN) Pakhtun Awareness Movement (PAM), and FATA Lawyers Forum, Pak-India Peoples Forum for Peace and Democracy, Swat Hotel Association, Pak-Afghan Peoples Forum, Anjuman-e-Taraqi Pasand Musanifeen attended the festival. The festival not only provided a forum for serious discussion on culture and role of political parties in promotion of peace but also for networking and interaction among different civil society organizations and movements. Theme of the Mushaira (poetical gathering) and musical nights was peace and the poets mainly touched upon the issues related to peace. 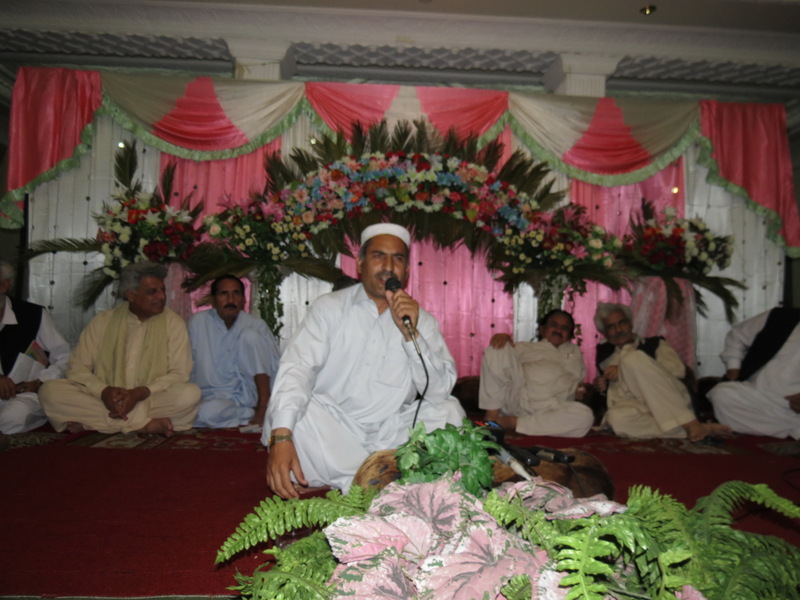 Prominent poets from Khyber Pakhtunkhwa and FATA narrated their poetry. 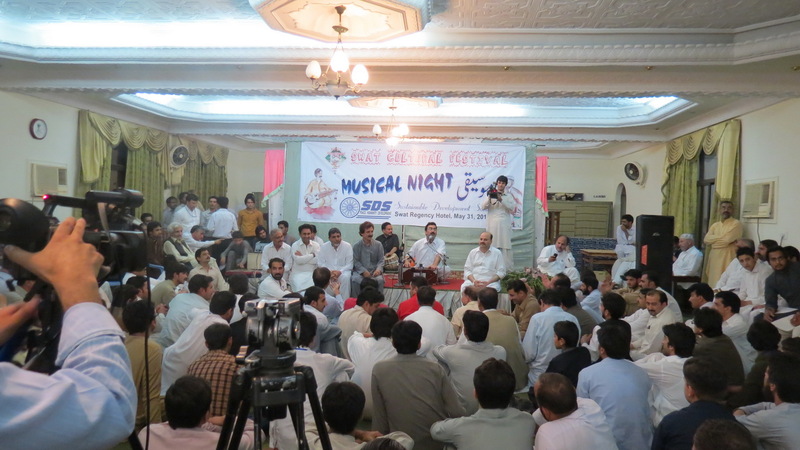 Besides guests, the Mushaira and music nights was attended by larger number of locals not only from Swat but its surrounding district such as Shangla, Buner and Malakand. There was political consensus on peace and establishing law and order situation in the country in general and Khyber Pakhtunkhwa in particular. All political and religious parties express their willingness for joining hands for the peace but no consensus on its methodology and process for achieving it. Most of the local politicians appreciated SDS effort for brining political parties with different political ideologies on one platform on such an important issue. In the political dialogue ex-senator Maulana Rahat Hussain from Jamiat Ulema Islam (JUI), Shams Buneri, provincial leader of Awami National Party (ANP), ex-MPA Qaimoos Khan from Pakistan Muslim League (PML-N), Fanoos Gujjar, Chairperson Awami Workers Party (AWP), ex- MPA Saleem Khan Advocate from Qaumi Watan Party ( QWP), Mukhtar Bacha, Provincial President National Party (NP). Sardar Soran Singh, MPA from Pakistan Tehrik Insaf (PTI) regularly attended the other events but due to some urgent matters could not attend the dialogue. Dr. Ijaz Khattak, International Relations Department, University of Peshawar moderated the session and Dr. Sarfraz Khan, Director Area Study Center, University of Peshawar and Dr. Shafiq Rehman were the key note speakers. Two former high court judges Shah Jehan Khan and Sher Mohammad Khan also regularly attend the festival. JUI’s ex- senator comments that a peace talk with banned militant outfits is illegal and Taliban’s activities are not Islamic were widely appreciated. While discussing the culture, the speakers highlighted the role of culture in peace and called for the promotion of cultural and cultural activities for cohesion and harmony. There was criticism and call for giving up those traditions which contains some elements of discrimination and rights violations such as honor killing etc. Most of the speakers did not out rightly opposed or rejected the Jirga but proposed reforms such as inclusion woman as a member in it. Some of the speakers were very critical of influence of some Arab religious ideologies, which in their view polluted our culture by introducing some extremist views and violence in it. They said that attack on women, children and elders; desecration of shrines; humiliating the dead bodies; bombing the worship places and religious rallies and gatherings etc. are not part of our culture and such trends were the influence of Arab culture. In the result of extremist and violent ideologies and activities, Pashtun culture which was known for its tolerance and religious harmony now faced with growing trends of intolerance, religious and sectarian hatred and violence. There was consensus that for counter the menace of extremism and terrorism culture is one of the best tools and there is a need for more efforts for widening the cultural space. Among others prominent Scholar of international repute Parwaish Shaheen; Dr. Nasir Jamal, VC Kohat University of Science & Technology (KUST); Dr. Khaliq Ziyar, Poet and Intellectual; Azra Nafees Yousafzai; Poetess and peace activists; Mohib Wazir, poet and writer; Nisar Shah, intellectual and political activist; Dr. Khaliq Ziyar, poet, literary critic and intellectual; Naseer Memon, Executive Director Strengthening Participatory Organization (SPO); and Arif Jabbar Khan, Country Director Oxfam Pakistan spoke in round table on culture. Participants’ comments/ Social Media Coverage The event widely mentioned and commented frequently and the participants posted various posts and comments prior, during and post event. Here are some comments from FB. “Thank you for this rare opportunity to meet so many good Pakhtun and some others at one place, interact with them for three days. It was both entertaining and intellectually a very enriching experience. Thanks to all of you….SDS” Dr. Ijaz Khattak, International Relations Department, University of Peshawar “SDS ….we are very much thankful to you for inviting us the wonderful event. It was one of the best experiences of my life, In short I will say u did it very fruitfully. Samandar ko kozay mein band karna ka kaam app nay kar diya. !” Muhammad Juniad Mandoori, Young activist and district coordinator at Voice Of New Generation and CEO of Right to Education. “It was really a great moment of joy and gratitude to be ……in a 3-Day “Swat Cultural Festival” organize by Sustainable Development Society (SDS) in Swat. 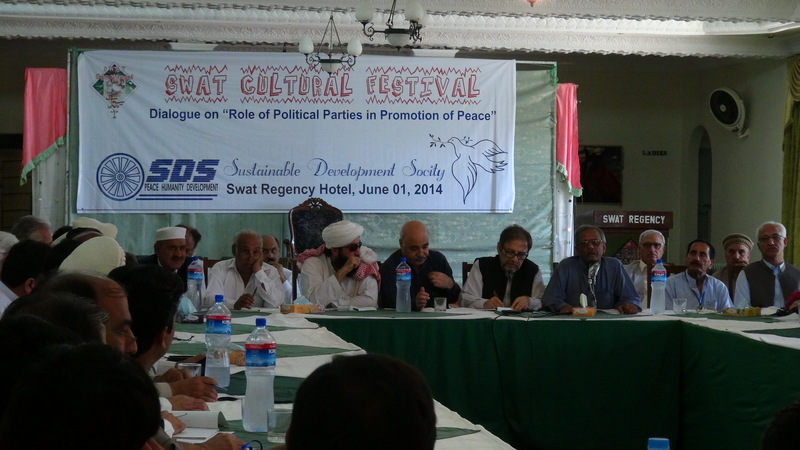 “The speakers …… concluded that .. such activities will prove supportive in the promotion of our cultural values, peace and will equip people to face challenges they are confronting”, remarked young activist Muhammad Sulaiman Yousafzai . .
“Swat Cultural Festival was really a success story of working for peace in Conflict Area. The team behind this successful event made this miracle happens in extremely unfavorable conditions. The dedication and commitment of Sustainable Development Society led by Iftikhar Lala is remarkable. The festival was not just an event of festivity but was also an opportunity of serious dialogue among the civil society, political leaders and other stakeholders. The stakeholders deliberated in depth to reach to the root causes of crises in Swat and FATA in particular and in KP and in the country in general. The event also provided with a platform for different parties with diverse ideologies to agree on solutions with the commitment to bring back the peace and normalcy in the region. 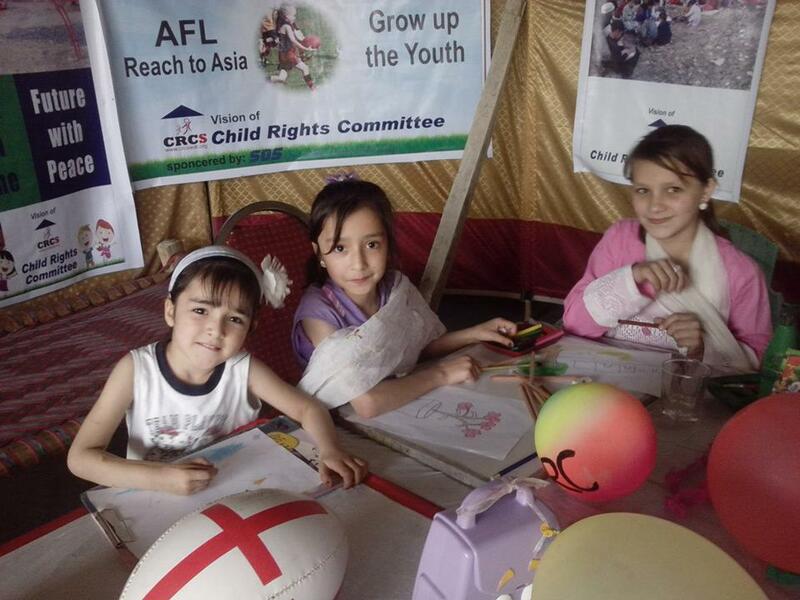 Hope SDS shares the findings with all of us and continues its tireless efforts towards sustainable development of society”, remarked a well-known consultant Ali Ahmad Jan from GB but currently based at Islamabad. .
“The event of Swat Festival …. was a great successful event arranged by SDS. …..Overall result was a success story developed by the political, civil society and famous poets and literary person who took part with zeal and dedication and contributed in confidence of the people of district Swat, Shangla, Malakand and Dir” Alamzeb Khan, coordinator Pak-Afghan Peoples Forum.